Young girls hair styling and makeup done by stylist and nail polish and glitter provided for girls. Young girls can enjoy having an awesome spa themed party. on their face stylist will provide nail polish for the girls. A mom recently sent me this photo and said she could not get the girls to go to bed or stop taking pictures even late at night they were divas. 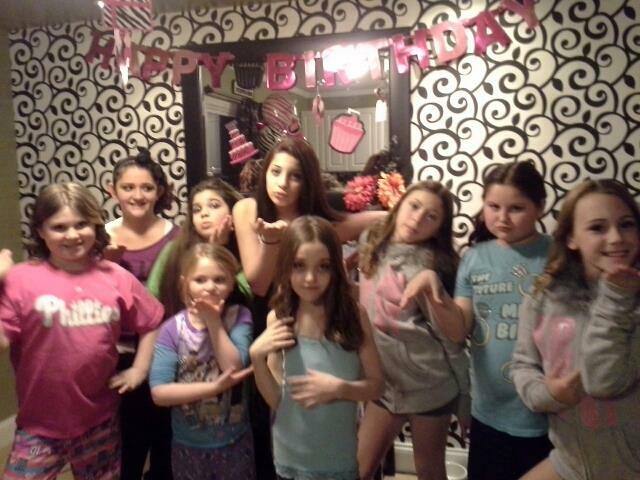 They all had a blast and are still talking about the party saying they want to do it every year.